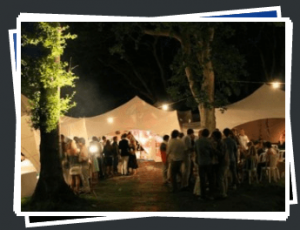 After marquee hire in Camberley? Complete Marquees have been arranging outdoor events in Camberley and the surrounding areas since we began in 2002. Our family-run enterprise has endowed hundreds of events in Camberley with beautiful outdoor shelter and furnishings. Known for our modern looking Capri marquees, Complete Marquees offer a refreshing alternative look from the traditional. For images, please see our marquee range. We offer a wide selection of packages to suit any outdoor event – please see the price list here.